We send our goods everywhere only for €23 EUR. By purchasing you will contribute to the development of the Centrum Mandala z. s. and make your or someone else's day. 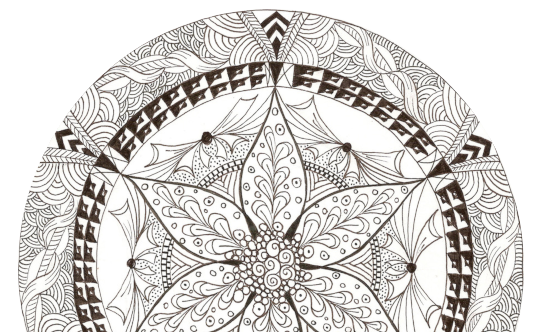 Plastic mandala template is a tool for making your own amazing mandalas (see video instructions). Together with the template you will receive a sketchbook and photo instructions. Decorate your home with mandala stickers. Your world will be more colourful with mandalas around you. Create your amazing sand mandala picture - with our set it will be quicker and easier than ever before. Send a hand-made mandala wish cards coloured by you. Almost every day is an occasion for celebration! Childern love mandalas! So we offer mandalas for children by Mrs. Martinkovičová. Each notebook includes 20 patterns in A5 format. 32 mandala cards are for playing, pleasing the eye or the soul, for improving your mood as well as for anybody who is interested in spirituality, Tarot, mandalas, and self-development. Mandala mouse pad for better mood and for better work concentration in five different colours is a very practical gift for anyone who works at a computer and who you would like to please. Mandala helps you to relax and to concentrate on your work. Mandala bookmarks are laminated in the size 3.7 x 21 cm and they have a ribbon in order to make it easier for you to remember where you finished your book.